Cosmoprof North America (CPNA) - a leading B2B Beauty Trade Show will be taking place this year on July 12 - 14 in Las Vegas at Mandalay Bay Convention Center. More then 27,000 attendees from 100 countries worldwide and close to 1,000 exhibitors from over 35 different countries are expected to make an appearance! Ƹ̵̡Ӝ̵̨̄Ʒ - Professional Beauty - devoted to the salon and spa world showcasing professional products, accessories, implements, tools, equipment, furniture and attire. In addition to the three main sections outlined above, there will be special areas including Boutique, Country Pavilions, Discover Beauty Spotlights, Emerging Beauty and Interactive Experience a multi-sensorial area as well as Interactive Technology. Three new areas will include an International Business Forum and Exhibition-Focus on the Beauty Supply Chain, Discover Scent (dedicated to exploring artisanal niche fragrances) and Tones of Beauty - featuring an upscale array of products geared to 'polyethnic consumers'. One of the most unique experiences of the night was provided buy Sniffapalooza, who was chosen to curate Discover Scent at Cosmoprof North America - an exclusive showcase for new and innovative fragrance products. 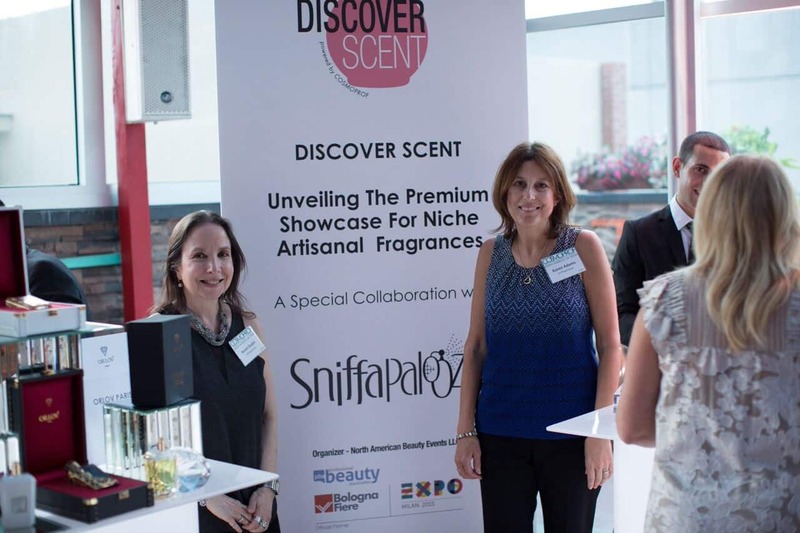 Sniffapalooza is an international, event-based organization of fragrance afficionados that unites perfume enthusiasts around the world, they celebrate fragrance as art and appreciate perfumers as artists. What started as a small group of friends getting together to shop for and share their passion for perfume, now knows international acclaim from TIME Magazine, Forbes, CBS MarketWatch, The Wall Street Journal and many others! 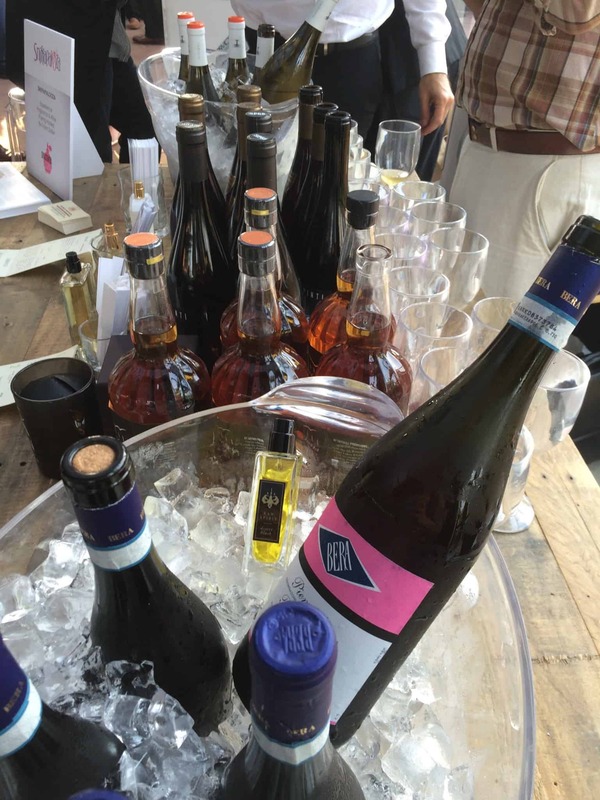 During the 'Rising Stars of Beauty' Event (which is the name of the sneak peek event), they offered a Fragrance and Spirit Pairing with the expertise of Back Label Wine Merchants and sommelier Patrick Watson that kept us on our toes! It was definitely multi-sensory as smelling the fragrance and then drinking the spirit it was paired with be it wine or Whiskey, truly awakened the senses and made the experience so much more unique. Above: The fragrance "Desert Blush' by Raw Spirit (a warm yet sophisticated floral!) was paired with Bera Piemonte Brachetto a sparkling red wine that is sweet with a fragrance of fresh flowers and roses making it a perfect partner for the Desert Blush scent. We were asked to smell the fragrance, and then taste the wine, which offered a unique sensory experience. Above: While there were many more pairings (and sadly I don't have space to feature them all), the one that wasn't for the faint of heart was the Concentration de Parfums Allegedly Rose Candle that was paired with Catskill Provisions Honey Whiskey, some ladies found this one a bit too strong for their palate, but I found it totally unique and really dug the idea! I think many felt the rose in the candle was too delicate to pair with a Whiskey, but I'm a big fan of not doing the 'obvious' or 'typical' and found this to be a pretty inspired pair. Others felt it was where opposites attract at best but to each his/her own right? There were so many amazing brands in attendance, some that were already quite familiar to me, like Clique by Roble which we have featured on Ascending Butterfly multiple times as they are a favorite of mine at Beauty Press Events here in New York City (and the body butter is to DIE for! ), and brands that were entirely new to me like many of the scent pairings offered by Sniffapalooza and the Love, Aunt Bonnie Boxes curated by Corey Huggins (who aims to write the chic story of Black and Brown Beauty via sharing her Aunt's knowledge and curating amazing brands that speak to the diversity in beauty!) Much like the Makeup Show this is a pretty big swag haul and I will have to just include invididual product reviews as I go along using them all, but I was stoked to find a Love, Aunt Bonnie Box in our swag bags as I have been wanting to try them out since I heard of them. I'm also looking forward to using my Lamik samples as well! Use the #Cosmoprofna hashtag to keep up with the show in real time, and if you are attending, make sure to use it on your instagrams and tweets! 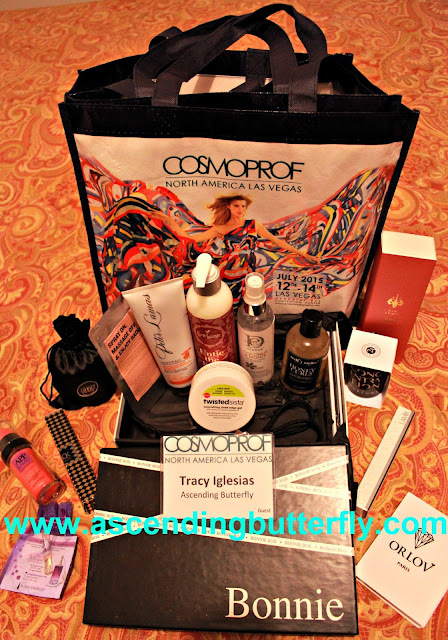 Are you hitting #Cosmoprofna this year? If so, who are you most looking forward to connecting with? If not, which brand featured above caught your eye? FTC Disclosure: This is an event recap, this is NOT a compensated post, no monetary compensation has been received, Press Passes to the Rising Stars of Beauty Cosmoprof Sneak Peek Event were provided to Ascending Butterfly for Editorial Consideration and all opinions are 100% my own! I am disclosing this in accordance with the Federal Trade Commission 16 CFR, Part 255 - Guides Concerning the use of endorsements and testimonials in advertising, you may check our Giveaway and Disclosure Page for additional information regarding Ascending Butterfly Disclosure. First of all, how can you not love an event with the name Sniffapalooza? That desert blush pairing sounds pretty interesting to me! What a fun event. I love the idea of pairing scents with drinks. It really does pull out notes in what you are drinking and I could see how it would enhance the fragrance. Looks like a good show to attend. Thanks! I would be overwhelmed at a show like this! I actually did not even realize there were makeup shows. Thanks for offering your opinions! The event you have attended was so much fun and I'm sure the one in Las Vegas will be as exciting. I wish I could attend. The products in the swag box look interesting. I will have to check the Aunt Bonnie Boxes. This sounds like a great event. How neat that you got a sneak peak. That really looks like a lot of fun - and a lot of awesome swag to bring home! I have always wanted to go to a beauty show. This one looks like a lot of fun. There are some pretty fun brands there! I didn't even know such an event existed. That'd be so interesting to go to. Wow, your swag haul is impressive! I sure wouldn't mind having it. :) This sounds like an awesome trade show and a great experience! I am a Las Vegas local and actually a licensed cosmetologist (but do not work in the field) and had no idea this trade show was coming my way. Looks like a fun opportunity to see new items on the market. I'm not familiar with any of these brands as they are not available in our local market. It's nice to get to know more products that are new and get samples to try. I feel like I want to try the Bodegas Tampesta Maneki Blanco because your description of the fragrance seems one that fits my preference. This event sounds like it was a blast. I like the idea of pairing a drink and smell! Looks like a great show. Booze and beauty - who could ask for more?!?! What a wonderful event! It looks like there were tons of great brands. Looks like a great event. 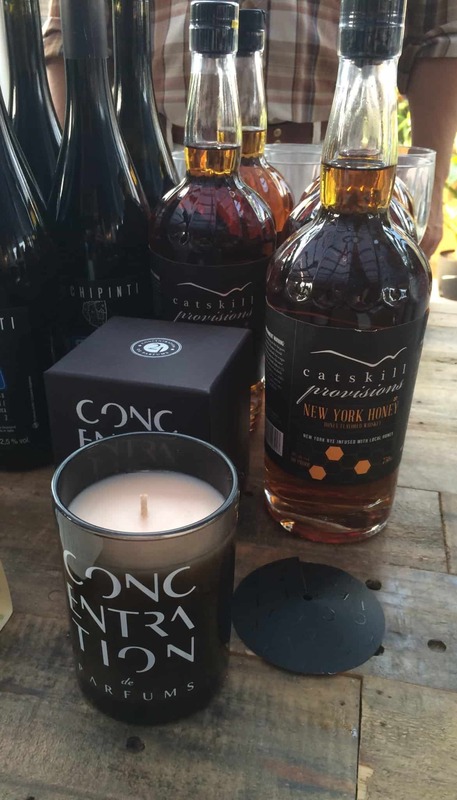 I am not much into wine but that candle would have been a great gift! I had no idea they did events like this! That would be fun to smell all the different perfumes like that. I have a feeling I would not be able to pick just one favorite scent, and would have to leave with several. I love conventions! You have an opportunity to see the next wave of products that will be introduced and to take some great stuff home with you! 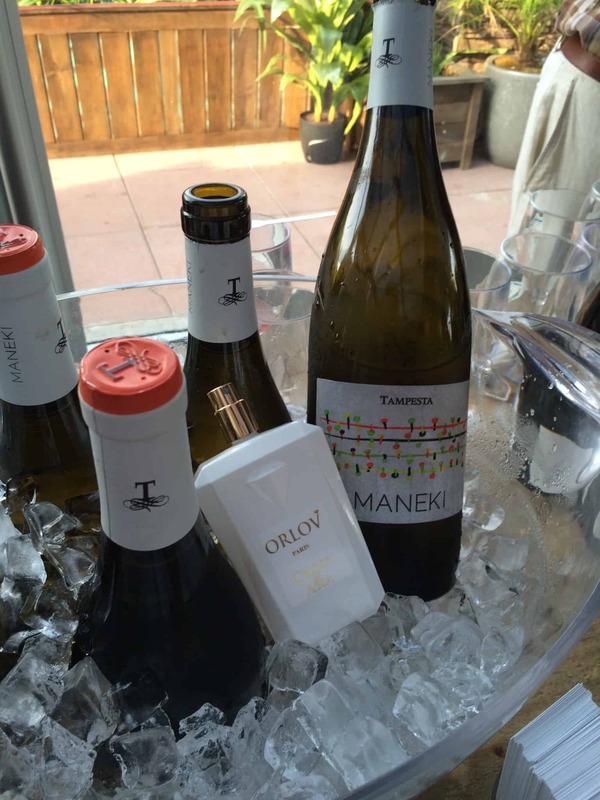 How can you beat a perfume and drink pairing? Definitely the most unique beauty show I've heard of! I had no ideas there were perfume enthusiast. I could definitely be apart of that group. I think I have about 20 or so fragrances right now. I've recently grown fond of Oud scents but my all time favorite is Vera Wang original. That really looks like a fun event! I have a super sensitive sniffer though and most perfumes give me sneeze attacks or, sadly, itchy skin. Boo. 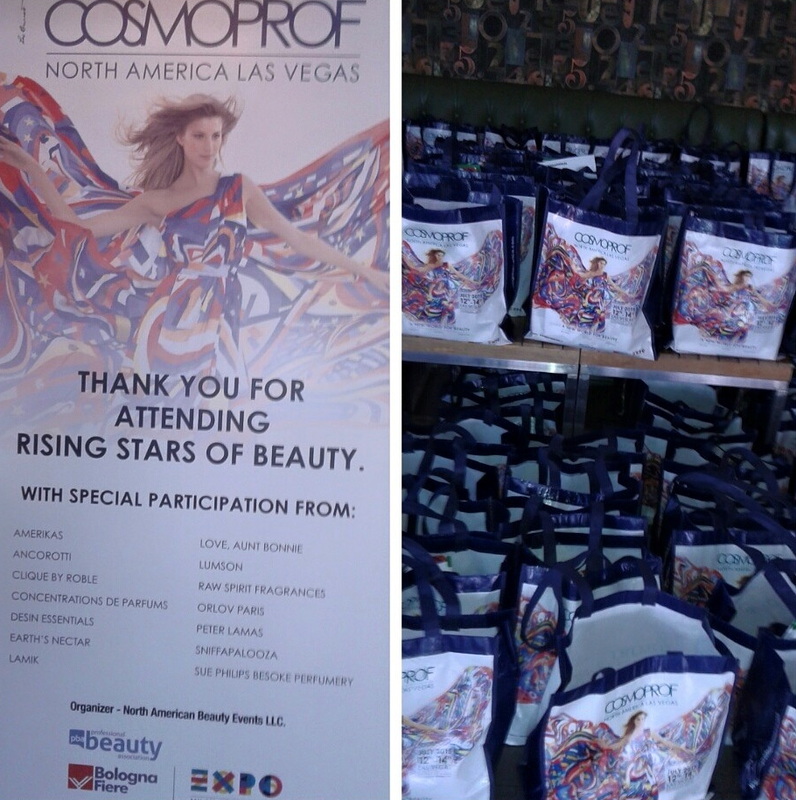 I love Cosmoprof! They have such great deals on all sorts of beauty products. That looks like a majorly fun event! My daughter is studying cosmetology at Paul Mitchell and loves the CosmoProf store. I bet an event like this would be a dream-come-true for her! Snifapalooza what an amazing array of products .Lucky you , It sounds like fun but a lot of work . I live in Vegas and LOVE beauty, but I don't work in the field or handle crowds well so I won't be going. I really wish I was though, it sounds like so much fun!